Susy is the creator & founder of Let’s Play in Spanish. She has a BA in Early Childhood Education from the Universidad Católica del Perú. 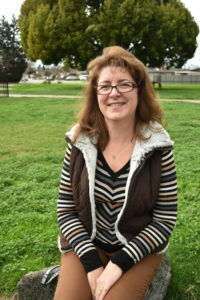 She has 20 years of experience of working with children, and loving every moment of it. Susy has been singing before talking, and dancing before walking. She comes from a long line of musicians, and performers. She has a tremendous passion for composing and creating music, as well as performing shows for children. Up to this date she has created 7 CD’s and one on the way. 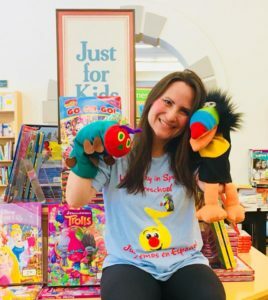 She is a puppeteer and has created so many characters like Juan el Tucán, la Gallina Catalina, Dante el Elefante, Ratón Ramón and many more. She loves to spend time with her family. On her free time you will find her at the beach in Santa Cruz. She keeps creating music all the time, and dedicates time to helping street children in Peru. Maestra Nora is a native Spanish speaker from Colombia. Her beautiful contagious personality brings joy to our After School program. Maestra Nora has lived in San Jose California for 27 years. She has 12 years of experience working with children in English Second Language (ESL) learners and with various Elementary Spanish programs. 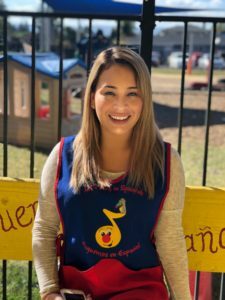 She is passionate about teaching Spanish, and sharing the Latin culture with children and their families. In her spare time, maestra Nora loves spending time with her family, cooking Colombian food, gardening, and dancing. Maestra Azucena is a native Spanish speaker from Mexico. This is her second year teaching in the Afterschool program, and has been a teacher in the Preschool & Summer Camp program. She has a lot of experience working with children, and enjoys spending these formative years with them. On her free time she loves to spend time with her family and her son. Susy Dorn is back teaching Wednesday & Thursday Classes! After School 2nd Semester Still Enrolling! Let's Play in Spanish, P.O. Box 111393, Campbell, CA 95011. Contact: (408) 370-3399 or fun@letsplayinspanish.com Copyright © 2017 Susy Dorn Productions LLC. All Rights Reserved.